After the significant improvements in our cPanel plugin WordPress Manager that we introduced in December, today we present to you the newest SuperPowers the tool got in January. From now on you can change the main (system) email account in WordPress. It is used for administrative purposes - receiving notifications for comments that await your approval, messages for new posts, registered users and others. By default they were all sent to the admin’s email address that you had specified upon installation. But if you wish to use a different email address, now you only have to access the Administrative data menu and enter it there. We also made some improvements to the New WordPress Installation menu. Now you can easily and quickly setup a user and name for your MySQL database at the very beginning of your WordPress installation. You only need to click Additional options and fill in the required fields. 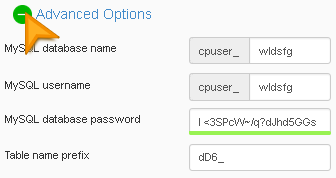 From here you can also setup a MySQL password and modify the prefix for the tables’ names. Last, but not least, from now on if you install a free SSL certificate through WordPress Manager, your website will be automatically redirected to HTTPS so you won’t have to do it manually. Please note that if your website has external resources downloaded through an unsecured connection (HTTP), your browser will display a warning message and it might block these resources. How to make external resources start loading through HTTPS instead of HTTP? Read more in the article from our help section. The latest enhancements are available in your WordPress Manager, accessed through cPanel. Have fun! Tsveti works hard to improve our services and offer them to our SuperCustomers in the most appropriate way. 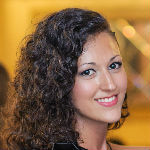 Tsveti's SuperPower is that she always learn fast the innovations in hosting technologies and quickly applies them to SuperHosting.BG. Grab Your Free Ticket for WordCamp Sofia 2018!